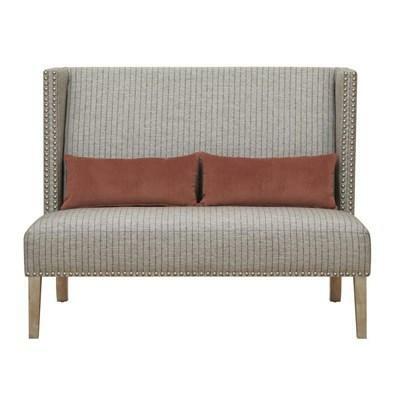 This Settee features a padded back and seat cushion upholstered in patterned fabric. 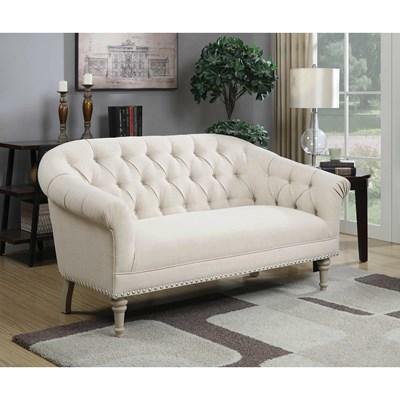 It is adorned with nailhead trim accents and stands on weathered grey finished tapered legs. It has two kidney pillow in contrasting fabric.